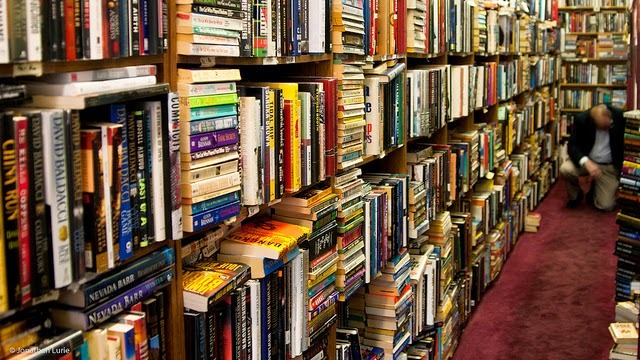 This photo is the inside of a small used bookshop in Nashville called BookManBookWoman. It's pretty much perfect and wonderful, and it is so crammed full of books that you have to smoosh yourself up against one side of the aisle just to let someone past you. Just... lovely.